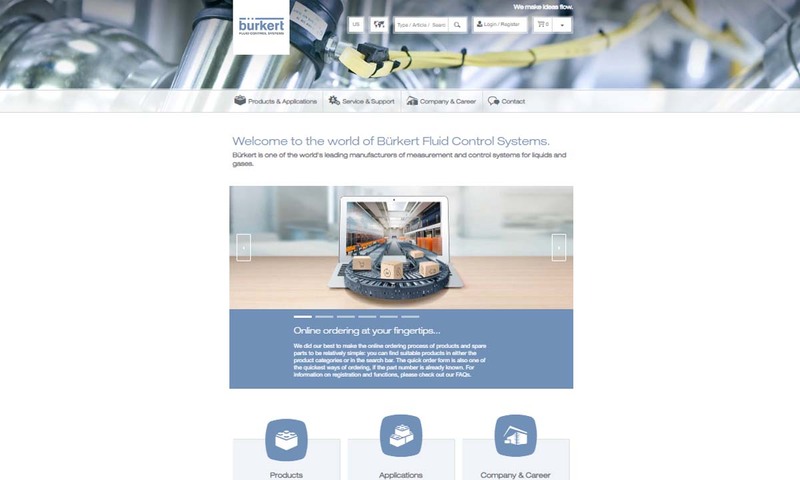 A reliable source for Ball Valves information and a resource for accessing leading Ball Valves and suppliers. A valve is a device that controls, regulates, or directs the flow of a fluid, by closing, opening, or partially obstructing one or more passageways. Ball valves are a type of quarter turn valve that controls flow. They serve as more effective alternatives to similar valves, like butterfly valves and gate valves. Ball Valves A valve is a device that controls, regulates, or directs the flow of a fluid, by closing, opening, or partially obstructing one or more passageways. Ball valves are a type of quarter turn valve that controls flow. They serve as more effective alternatives to similar valves, like butterfly valves and gate valves. Our engineers are experts at creating reliable ball valves. These outstanding items are extremely durable and long lasting. We can specialize any order if you require. You will be impressed with these trustworthy products. 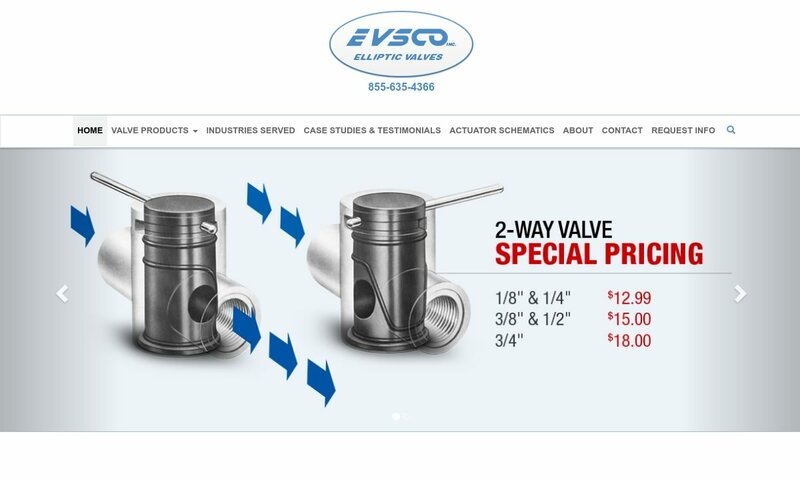 EVSCO elliptic valves are primarily utilized in fluid, pneumatic and vacuum system applications. Evsco valves are manufactured in Polypropylene and PVDF materials for use in environments that can be corrosive and/or aggressive. 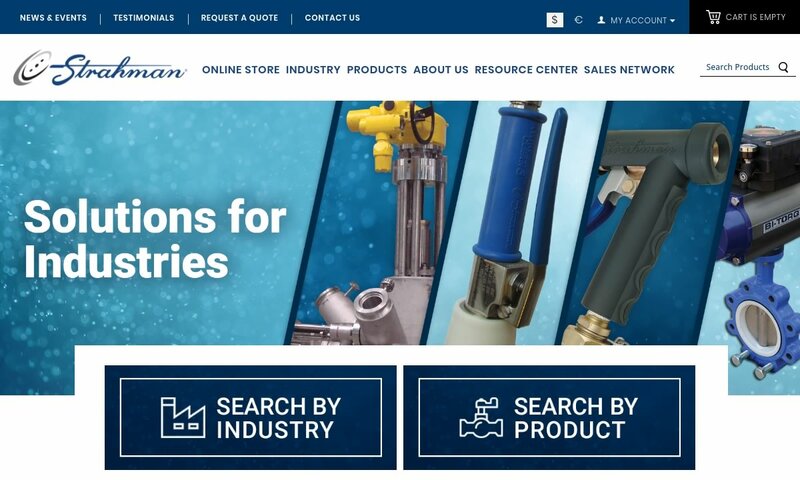 Since 1921, Strahman Valves is a worldwide leader in the design and manufacture of high quality Wash Down Equipment and Industrial Valve products. If you are looking for quality ball valves look no further than JMF Co. We have been providing customers with premium-quality products for more than 50 years, and have grown to be a leader in the U.S. rough plumbing and HVAC wholesale supply industry. Triad Process Equipment has been manufacturing and supplying high quality ball valves since 1990. We offer a wide selection of valves. The goal of ball valves is to regulate fluid flow. They can do so in a number of ways. They can regulate some types of low flow valves, provide backflow prevention for valves with a swing check component, isolate systems, and provide gear operators with complete shut-off capabilities. Because they are available with either manual or motorized controls, ball valves can provide their services to applications in a wide variety of settings. Mostly, ball valves are used for on and off service of pipes containing suspended solids, slurries, liquids, or gases. Other applications that commonly employ ball valves include tubing systems, equipment, and tools in virtually every industry that transports fluids. You can find them anywhere from the factory floor to faucet at home. Industries that make use of ball valves include manufacturing, mining, oil and gas, agriculture, heating and cooling, plumbing industrial and domestic, water, consumer goods, construction and more. The earliest example of something similar to the ball-type valve was the valve patented in 1871 by John Warren. His was a metal-seated valve that featured brass balls and brass seats. Warren ended up handing over the patent for his brass ball valve design to John Chapman, the head of Chapman Valves. For whatever reason, Chapman never put Warren’s design into production. Instead, he and other valve manufacturers used older designs for many years to follow. The ball valve, also known as the spherical plug valve, finally came into play during World War II. During this time, engineers developed it for use in military aircraft fuel systems. After their success with ball valves in World War II, engineers adapted ball valves for industrial applications. One of the most important ball valve-related breakthroughs of the 1950s was the development of Teflon and its subsequent use as a ball valve material. After the development of Teflon, a number of companies, such as DuPont, fought for the rights to its use, as they knew it would bring great market revenue. Eventually, more than one company were able to make Teflon valves. Teflon ball valves are flexible and can create a positive seal in two directions. In other words, they are bidirectional. They are also leak-proof. The first manufacturer to design ball valves with flexible Teflon seats was Howard Freeman, who patented his design in 1958. Today, ball valves have evolved in a number of ways, including their material compatibilities and possible applications. In addition, they are able to use CNC machining and computer programming like the Button Model to make the best valves possible. Soon, ball valve manufacturers will be able to offer their products with even more options, including aluminum construction, less wear, and the widespread capability of throttling, which allows operators to pass variable amounts of fluid through a valve at a restricted flow. Ball valves may be made from materials including bronze, brass, titanium, ductile iron, cast iron, carbon steel, stainless steel, chrome, Teflon, PVC, and other plastics. Every material offers something different. For example, stainless steel ball valves are sure to be corrosion resistant and have a high tensile strength. PVC ball valves, on the other hand, gain all the positive qualities of this polymer, such as light weight and water, chemical, and concentrated acid resistant. When designing your ball valve, based on your application specifications, manufacturers decide on a number of design factors, such as ball material, valve body material, lining material, the ball valve dimensions, and the ball valve type. Details like this will determine how your ball valve reacts to environmental stressors like pressure, high and low temperatures (ball valves usually operate at room temperature), liquid flow, gas flow, vibration, impact, etc. Ball valves are also available in a wide variety of custom sizes, from fractions of an inch, like miniature ball valves, to multiple yards in diameter. The smallest ball valves can control the flow of confined or hard-to-reach spaces. To find out about a manufacturer’s custom options, have a chat with a member of their sales staff. Ball valves feature a ball body, a ball, a port, seats, a stem, packing, a bonnet, and an actuator. The body is a pressure vessel. It holds the flow control components, such as the ball. It is also the means by which operators can connect multiple pieces of tubing or pipe. The ball is hollow, pivoting, and perforated. The port is a hole that is bored through the middle of the valve. Seats are round disks used to create a seal between the body and the ball. The stem is a shaft. It helps the ball rotate by connecting it to the outside of the valve. Packing consists of a number of flexible seals that are packed in around the shaft so that the valve does not leak. The bonnet is a section of the body that contains the packing and the stem. The actuator, sometimes called the operator, is a device such as a lever handle. The valve and actuator work together to rotate the valve stem. When the handle lies flat in alignment, the valve is open and when the handle sits at a perpendicular position, the valve is closed. Ball valves are chosen for an application based on their qualities. First, customers must choose between two primary design options: trunnion and floating ball. Trunnion ball valves use additional mechanisms to anchor the ball to a certain spot, where they serve larger and higher-pressure valve applications. They are costlier than floating ball valves. Floating ball valves, or float ball valves, use a non-anchored ball that drifts into place or floats slightly downstream into the seat, providing a tight seal. Another consideration customers may take into account is whether the valve is motorized, actuated, or manual. Motorized ball valves, per their name, use a motor to open and close itself. Actuated ball valves operate with the help of an actuator that, while sitting on top of the valve, supplies force and motion. Using an actuator, the valve may be controlled either automatically or manually via a remote. The handle of trunnion ball valves, which rotates the ball at a one-quarter turn, may be any three of these. Customers may also choose between a few other types of ball valves, such as flanged ball valves, multiport ball valves, non-return ball valves, and high-pressure ball valves. Flanged ball valves feature outside edges that are raised into a flange, with holes placed in alignment with the piping system in which the valve will be placed. Flanged ball valves are valued for their simplicity and the ease with which they can be installed or removed from a piping system. Multiport ball valves, such as 3-way and 4-way ball valves, have multiple ports through which flow passes. The way that the flow comes in an inlet and exits one or more outlets is controlled by both the handle rotation and the shape of the inlet port. Three-way ball valves usually have T or L shaped ports. Four-way ball valves usually have two L shaped ports. Non-return valves, also called ball check valves, only direct fluid flow in one direction, though they do allow for both low and high pressure and temperature flows. High pressure ball valves are those ball valves that are able to control both high and low flow applications with high temperature and pressure ratings, up to around 7500 psi. Globe valves are an advanced type of ball valve designed to regulate flow. Often, manufacturers install them in automobiles, where they act as transmission control valves. They are named after their shape. They are disc-like and look like valve globes. Ball valves are popular for a number of reasons. First, they are popular for the fact that they have a variety of material options. Second, ball valves are popular for the fact that they are easy to clean. Ball valves are largely self-cleaning because, as the ball of a ball valve rotates, the seat wipes itself, effectively preventing any buildup. In addition, because they have no internal components, they require little maintenance and they do not retain internal debris. Instead, they are highly controlled and they are blowout proof. Likewise, they are easy to monitor. Next, ball valves are very diverse and customers can use them for a wide range of applications. Finally, ball valves are cost-effective and reliable. 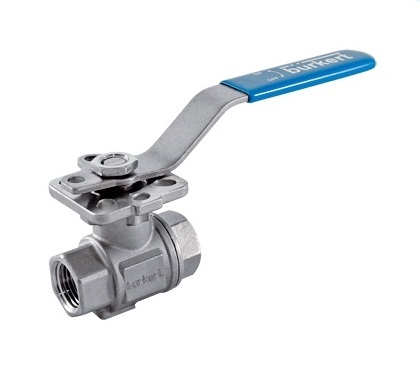 Examples of common ball valve accessories include repair kits, stem extension devices, and extra connections for the valves and fittings (socket welds, double ferrules, etc.). Before purchasing any accessories or spare parts, make sure to check with your supplier. If you purchase accessories from a source other than your supplier, you may inadvertently void your warranty. To keep your ball valves running smoothly, you may need to clean their interior from time to time. Because the ball has a hole in it, it is possible for it to become plugged. If exposed to the elements or high heat, it may also become corroded. To keep on top of this, set up a schedule for regularly checking on and cleaning your valves. Depending on your application, industry and location, you may have different standard ball valve requirements. These requirements include manufacturer standards, test inspection standards, and design standards. To learn the design standards and testing standards to which your ball valves may be beholden, speak with a leading industry association. Find the right manufacturer for you by knowing what you need and communicating it.  We recommend that, before you start looking at manufacturer profiles and websites, you take some time to jot down your specifications, questions, and concerns. That way, you can focus while you browse, and you will be ready for a productive conversation when it’s time to talk to a potential supplier. Your list should include not only your application specifications, but also things like your standard requirements, your budget, your deadline, your delivery preferences, and your preferred post-delivery services. 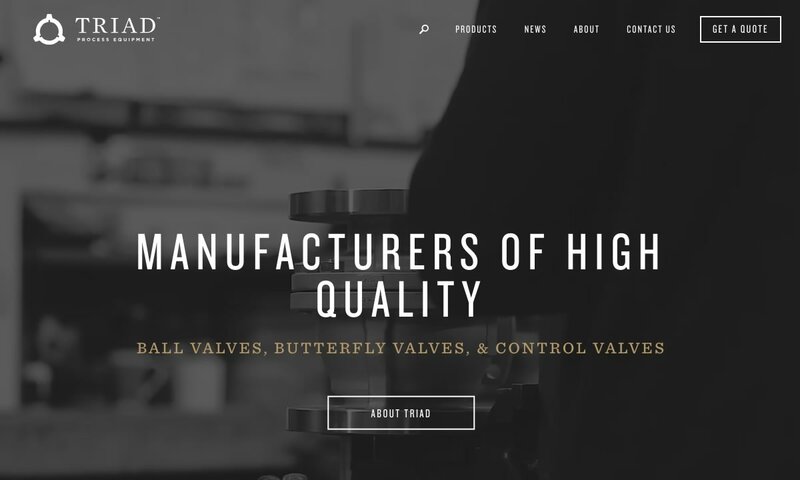 Once you have put your list together, check out the various high-quality ball valve manufacturers we have listed on this page. You will find company information placed in between these informational paragraphs. As you browse, remember to frequently consult your specifications list. Pick out three or four industrial valve manufacturers in whom you are most interested, then reach out to each of them to chat. Go over your application in detail and don’t be afraid to ask a lot of questions. When you’re done, compare and contrast the services that each manufacturer offers. Based on your needs, pick the right one for you and get started.